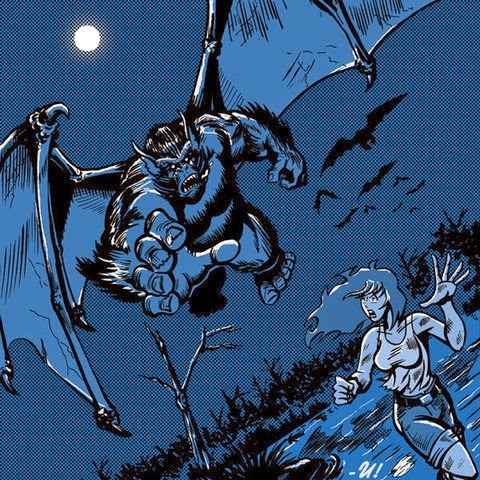 Batsquatch is a flying cryptid that was allegedly sighted near Mount Saint Helens. Batsquatch resembles a flying primate, similar to the Orang-Bati of Southeast Asia. This creature was said to have yellow eyes, a wolf-like muzzle, blue fur, sharp teeth, bird-like feet, and leathery bat-like wings. In addition, batsquatch is said to be 9 feet tall and have the ability to affect car engines. The animal is mostly active at night. Believe it or not, this is actually the name that has actually been attributed to a creature that has been spotted repeatedly near Mt. Saint Helens since mid 1980. The creature is said to be a primate-like creature with massive bat wings and a purplish skin colour. 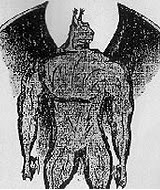 Upon first hearing the Batsquatch legend, many cryptozoologists find themselves doing a double take, but there are several accounts of the creature suddenly appearing before hikers and mountain climbers. Though the animal has never been directly connected with their cousin, Sasquatch, more terrifying aspects of the simian Batsquatch led some researchers to conclude that it derives from the same branch of evolutionary development, from which the people, gorillas and other apes and hominids. Other researchers believe that Batsquatch are not flying primates, but large representatives unknown species of North American fruit bats. In the region of Mount St. Helens often mysteriously killed are chickens, goats, pigs, cows and other farm animals which could be due to Batsquatch. 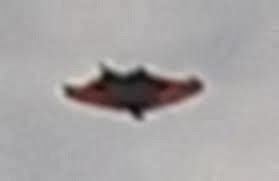 "I saw something flying the the sky it had bat wings, blue fur and had a similar face and its eyes glowed red. It was about 9 feet tall at the least and after I watched it just fly away." In 1994, living in Washington mountaineer Butch Whittaker, preparing to climb , late afternoon saw passing near Mount St. Helens Batsquatcha and managed to make a few photographs, the animal disappeared. Photos, however, after many long discussions, were considered fakes. Despite this, researchers today are intrigued by the fact that the North American population can live large, winged monkeys. Alongside the "winged primate" theory, another accepted theory is that these creatures are a new species of fruit bat; despite reports depicting the animals as carnivorous, and assumed to be at fault for the disappearance of many farm animals in the region. The physical description of the Batsquatch is strange even for a cryptozoological creature, between its glowing red eyes, its purple skin, and its leathery bat wings, and the creature is given a wide berth in many circles of paranormal investigators who believe in the strange and unusual, but consider the story of the purple winged primate to be just a little on the too strange side. Still, that hasn't stopped several witnesses from observing the creature over the years. When Mt. Saint Helens erupted several witnesses reported that it had actually flown from the smoke and was even photographed. So if the Batsquatch is real, then would it be possible for a large primate-creature to actually sustain flight with massive bat wings? Some have pointed to the size of the creature, suggesting anything that large would not be able to become airborne. Of course the Pterodactyl was known to have a wing-span of over 40 feet at times and larger specimens have been uncovered to have been larger than the Sasquatch sized creature. Sightings of the Batsquatch have often been accompanied by reports of animal disappearances and mutilations. It's said that the Batsquatch is carnivorous, though it could also be an omnivore. In fact, if it shared traits with other primates this seems quite likely. But if the creature really did exist, how would it avoid being seen over the course of several years as it soared through the sky on leathery purple bat wings? It seems fairly high profile for a monster that has eluded sighting on a mass scale. Proponents of the Batsquatch legend suggest the creature largely sticks to the unpopulated regions of Mt. Saint Helens' forests in which there is plenty of space to hide and generally does not fly to an altitude where it can be seen by casual observers far away. 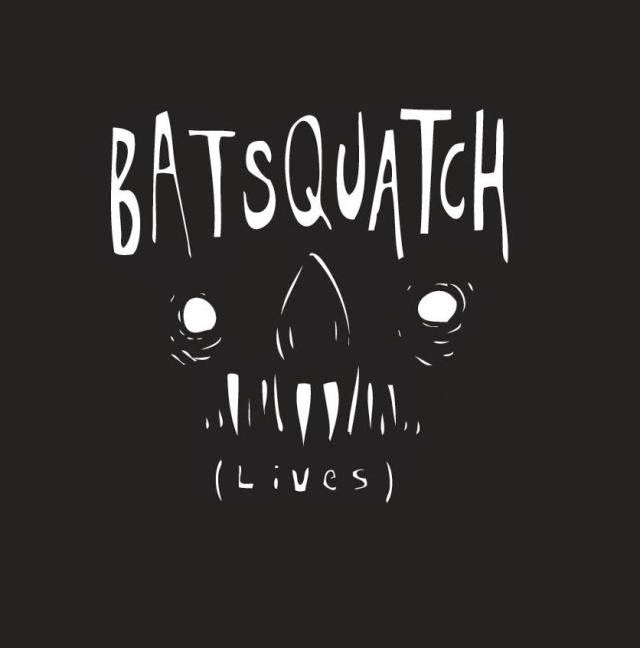 Batsquatch remains more of a local legend than a creature of international infamy. Of course those who do find themselves hiking in the forests of Mt. Saint Helens will often keep an ear out after hearing of the creature, just in case they catch the sound of massive bat wings on the wind. I know I shouldn't be but I'm obsessed with this cryptid, I mean just imagine it, A BIGFOOT WITH WINGS!! !